Had another Amsterdam day last wednesday – took the car this time, parked in North and took the ferry – another Amsterdam delight. Went to the library first: I love that place! Checked out a few books about Mesdag and his circle that will help me understand him better. 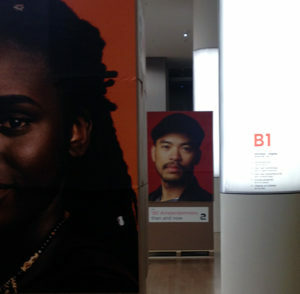 Noticed the posters in the library – Amsterdam has a campaign telling the world about its diversity. It has 180 nationalities, which is something to be proud of! We had two talks at the Van Gogh. 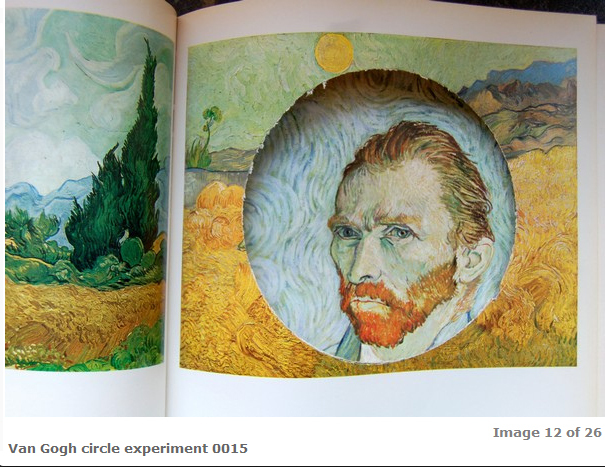 First was Peter de Kimpe, who is theatre designer and exhibition designer – he’s done a lot of work for the Van Gogh. 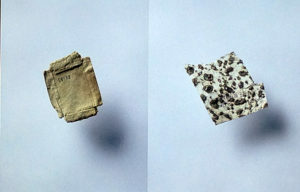 Peter collects objects found on the street – like my circles. He had an interesting way of photographing them – learned a lot! Peter has a dream job: communicating 19th and 20th century art to the 21th century, where the Image is all, and speed is of the essence. So how to slow museum visitors down? They spend 10 seconds on an artwork (average), making them spend 15 seconds (again: average) is a feat not to be sneezed at. His background is in theatre, and this tells. An exhibition must be multilayered – don’t give everything away in the first 3 minutes, like at a musical. Three minutes of ‘wow’ and two hours of visual ennui to follow. And we met with Floor van Spaendonck, who is head of the agency for Architecture, Design and Digital Culture at Het Nieuwe Instituut. She’s making a carier move and will be working for Cinekids in the new year. She knows a lot about digital culture and about being present in it. Tip: titles and (very little) text on top of an artwork prevents ‘overcrossing’ and people being in each others way.